The Blueroom Project has published the I edition of “Analysis on Gastronomic Tourism 2018” at a national level. It is research on patterns about travels through culinary experiences with the aim to evaluate the evolution of this market and provide a forecast for the years to come. The report, which was developed in the first half of 2018, collects the opinion of nearly 200 professionals of the Spanish touristic industry, 65% of them are travel agents and tour operators. Following this report on travels through culinary experiences, 80% of the interviewees believe that Gastronomy is a key factor when deciding a destination and is decisive in the traveller’s selection. Furthermore, 73% professionals interviewed has perceived an increase of demand over the last years, and from this percentage, 42% consider it as a “significant” increase. Simultaneously, the gastronomic tourism is emerging a real segment of the touristic market: 44% of the interviewees offer a gastronomic package, while 24% of them is not offering this product yet but they are planning to make a start. Concerning the gastro-tourist profile, the conclusions derived from the report developed by The Blueroom Project, show that men and women ranging between 36 and 55 years old prefer to travel in couple during 2-3 days and spend between 100 and 1,000 euros. With respect to destinations, for the Travel industry, the Basque Country, Galicia, Andalusia, Catalonia, Asturias and La Rioja are the most gourmet regions in Spain. 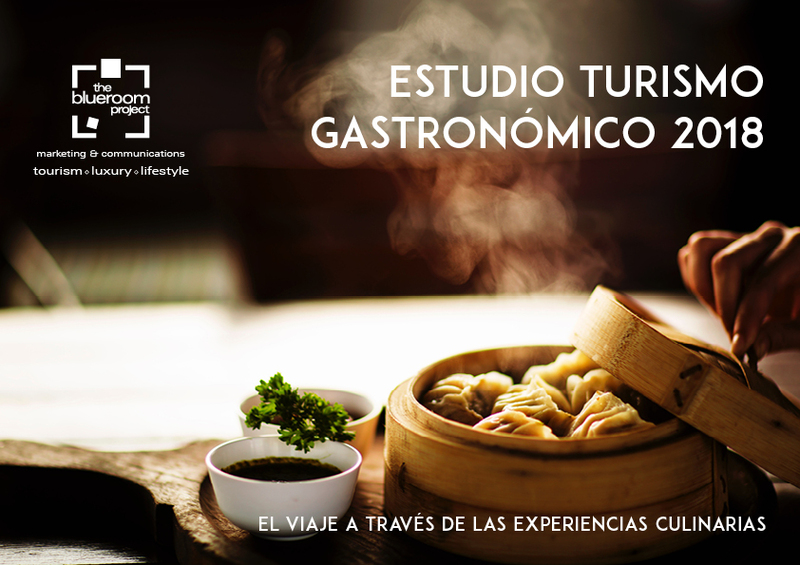 Indeed, more than a half of all the professionals interviewed will suggest to their clients a trip to León on the occasion of this city designated as the Spanish Capital of Gastronomy 2018m while France, Italy, Japan, Peru, Mexico or Thailand are considered the most gourmet countries.